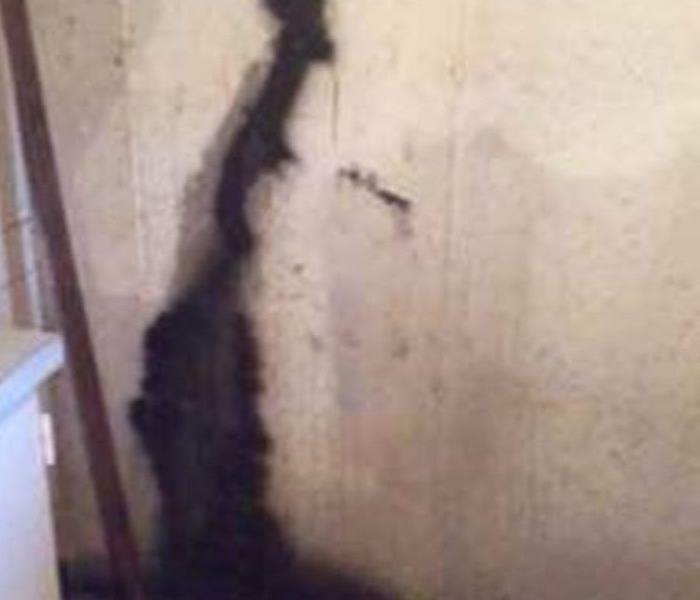 When this homeowner could not find the musky odor in his home, he called SERVPRO of Morris/Ottawa. We were quickly able to locate the source of the smell. 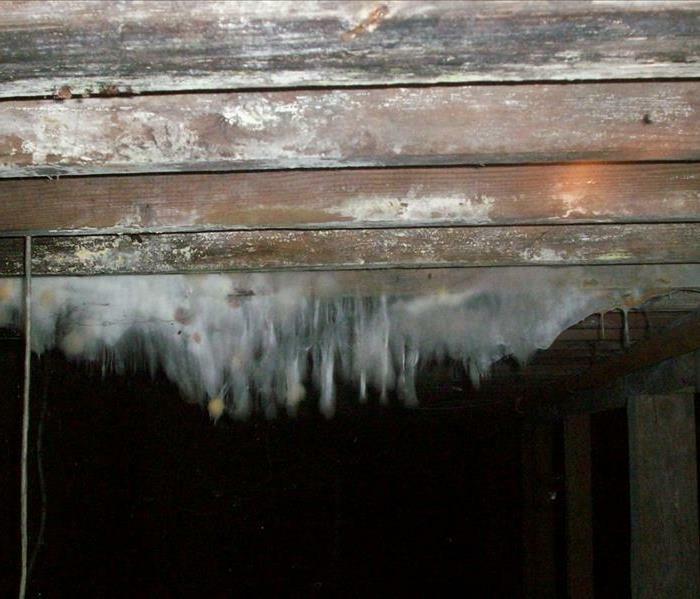 The dampness in the crawlspace led to mold growth. Our trained professionals were quickly able to remediate the issue and get rid of the odor quickly. SERVPRO of Morris/Ottawa professionals can respond quickly to your emergency. Our staff can work quickly and effectively to safely and effectively manage the situation. 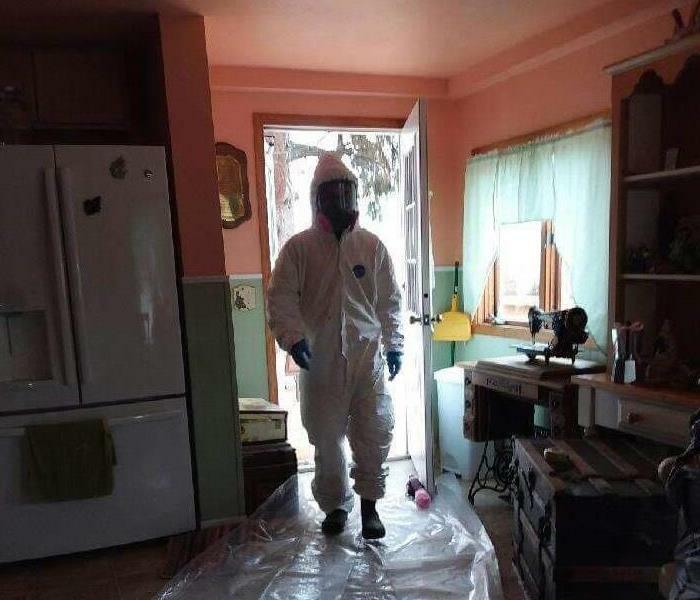 We have training and equipment that will help us quickly contain and remediate a mold infestation. 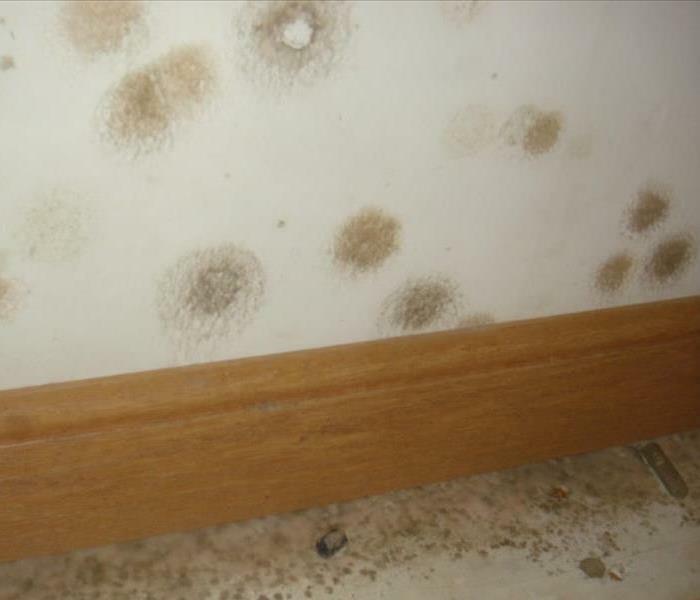 If you suspect mold in your home give us a call today. (815)416-0075. 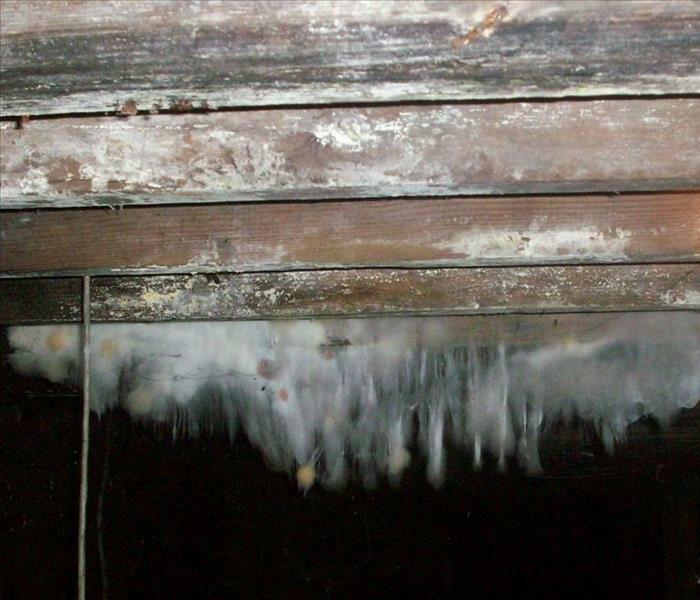 Mold spores can travel through the air attaching to other food sources to guarantee their survival. Before mold remediation begins SERVPRO of Morris/Ottawa professionals with put up plastic barriers to block the affected areas. 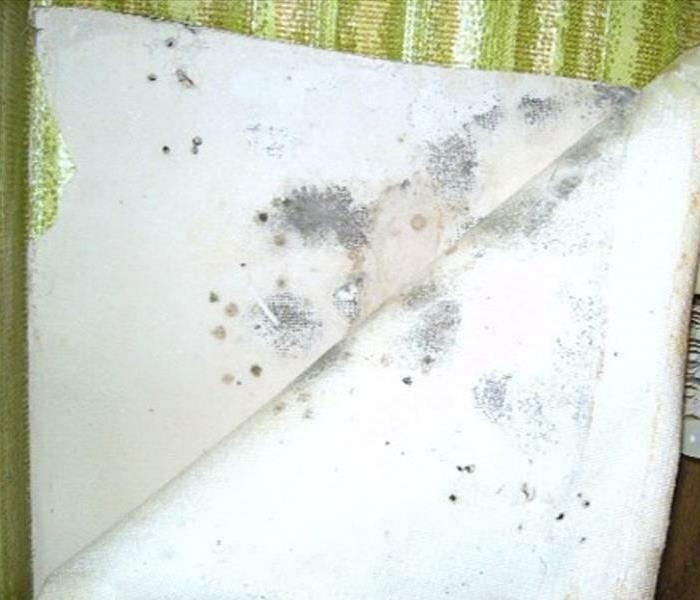 By doing this mold spores cannot travel to other areas of your home or business. 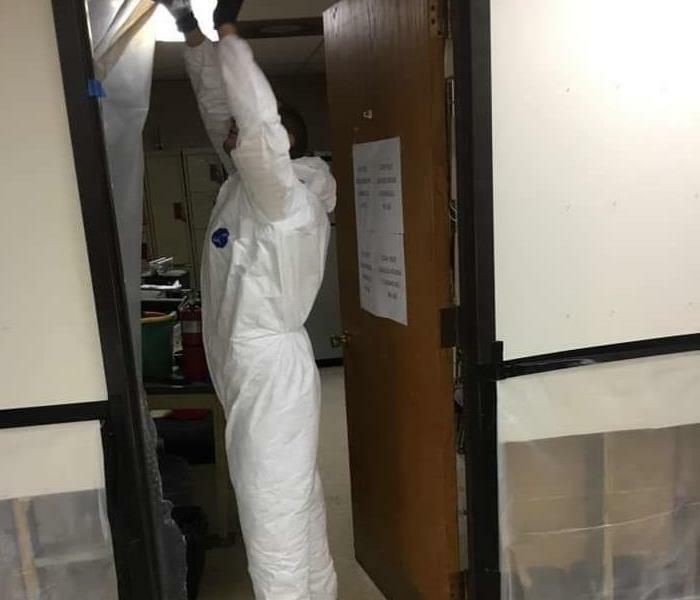 This helps to ensure we can effectively remediate the mold with minimal risk of it traveling to other areas of your home or business. This picture shows our floor mat system. 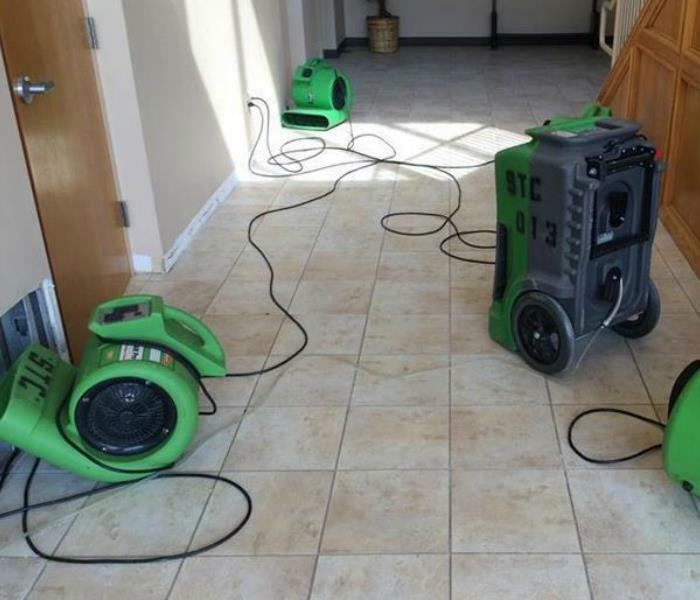 SERVPRO of Morris/Ottawa has the capabilities of drying your hardwood floors if they should sustain water damage. 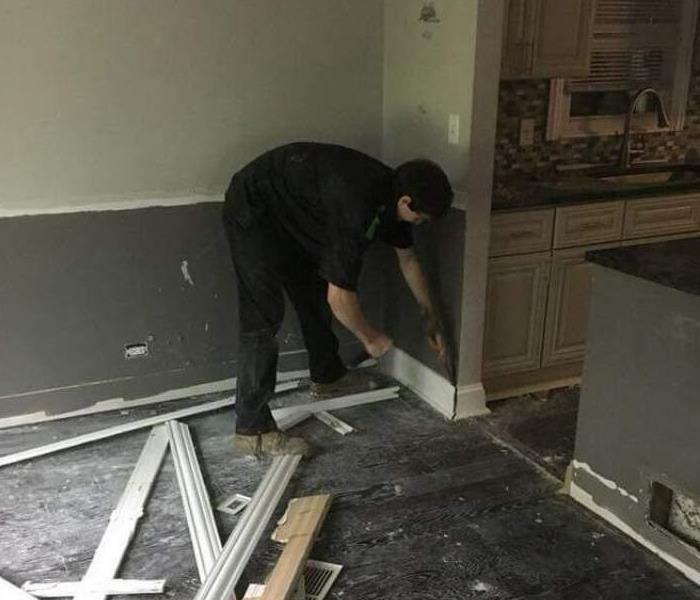 It is important that this process is started as soon as you realize there has been water damage to the hardwood. SERVPRO of Morris/Ottawa always keeps the customers best interest in mind. 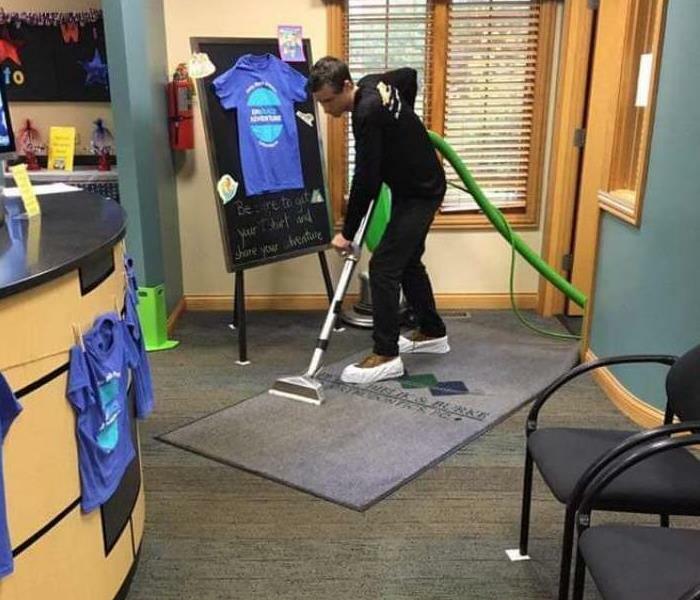 Here is our crew cleaning carpet for a dental office. This appointment was made for after closing. This ensures the staff does not have to cancel appointments and also ensures that carpets are dry before reopening the next day. 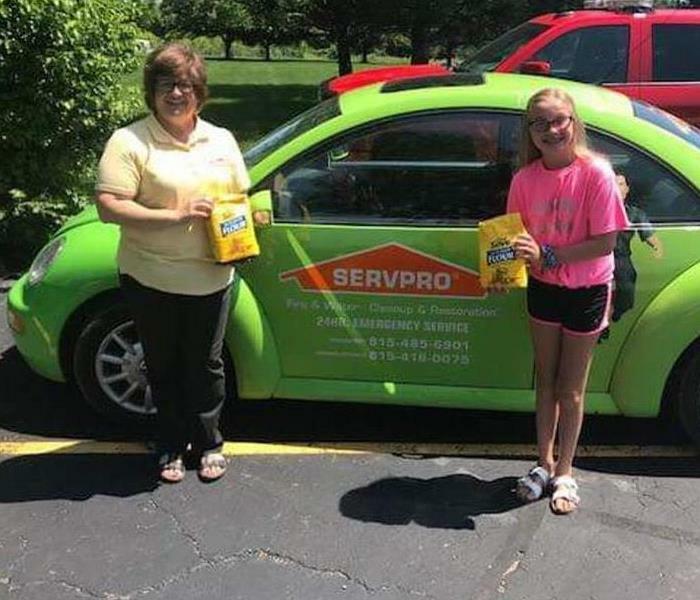 SERVPRO of Morris/Ottawa came across a social media post of a group of girls selling baked goods at local events and donating all the money made to the Fire Departments. We wanted to help the girls and show support for them. SERVPRO Marketing Representative Carol quickly went to the store and purchased the girls lots of baking materials. She personally delivered them to the home of one of the girls and even the girls parents will extremely happy that all the hard work the girls have been putting in was being noticed by the local community. SERVPRO of Morris/Ottawa is known for providing great customer service. 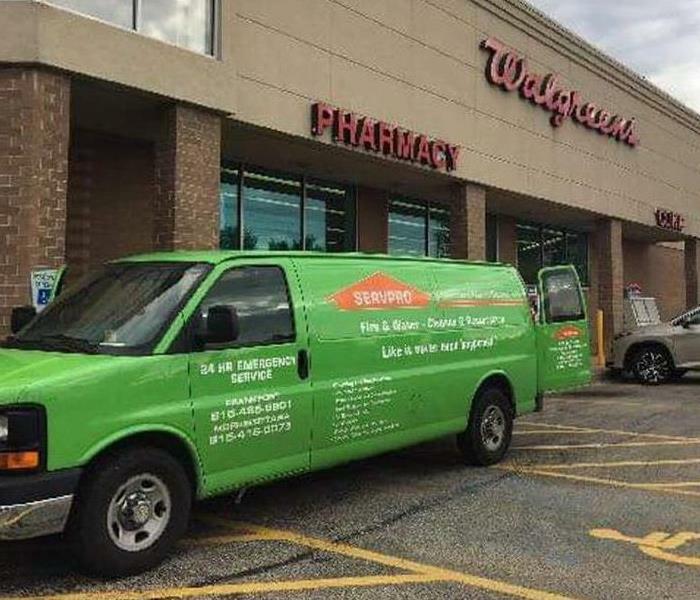 So much so that nationwide SERVPRO is used often by many commercial clients. Walgreen's often calls us for crime scene/trauma issues in their stores as well as general cleaning. The managers love SERVPRO of Morris/Ottawa because we are prompt, have great communications, and always get the job done right. Did you know that SERVPRO of Morris/Ottawa offers general cleaning. Yes we are the premiere Restoration Company, but SERVPRO is much more that that. Our trained professional can do carpet cleanings, duct cleanings, dryer vent cleanings, power washing and can even do deep cleaning of industrial kitchens. 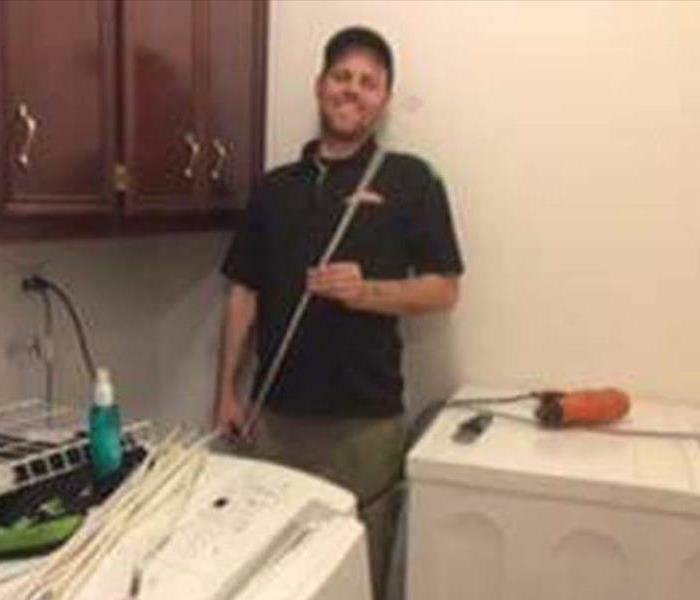 After weeks of finding water in the basement this homeowner enlisted SERVPRO of Morris/Ottawa to assist finding the water leak. With the help of thermal imaging cameras our trained technicians were able to determine a lose pipe fitting was the cause of all this homeowners worries. 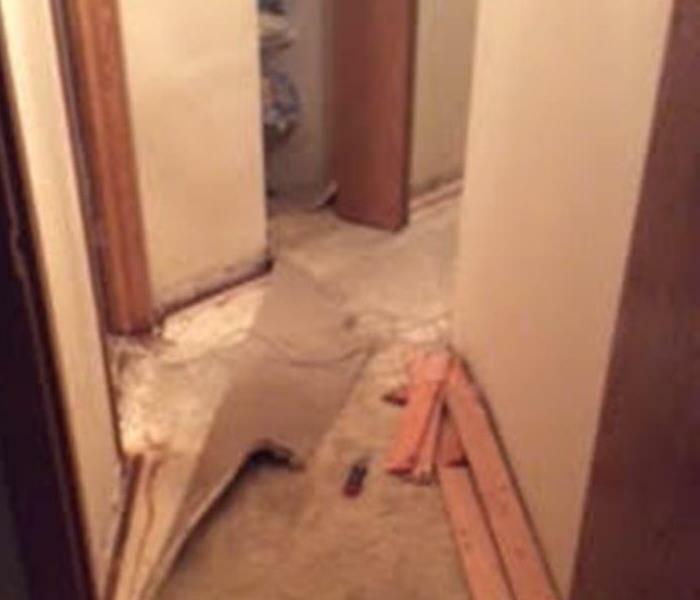 This homeowner was in shock to arrive home and see his living room ceiling caved in and water damage in his home. A toilet that had been leaking for sometime was finally apparent when the ceiling below it came crashing in. He was quickly put at ease when SERVPRO of Morris/Ottawa showed up and was able to start working right away. During storms your home is in the mercy of Mother Nature. 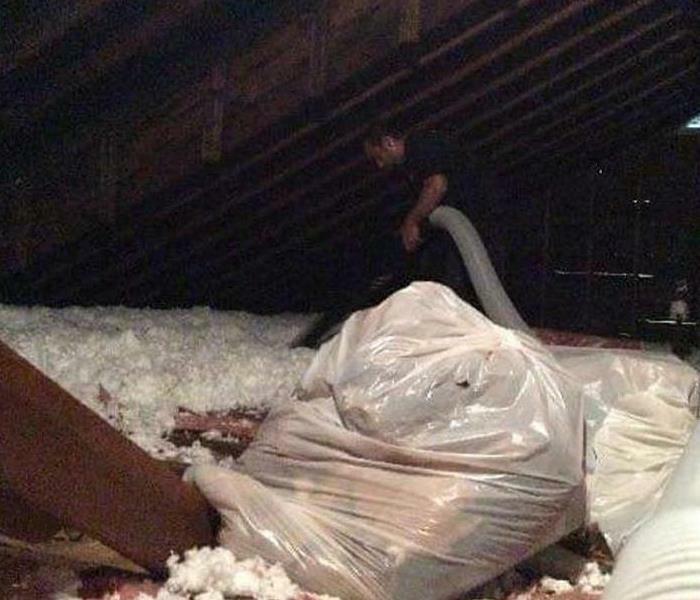 This home took a hit during a storm damaging the roof and causing water damage. The homeowner was extremely impressed at our quick response time and that our crews were able to minimize the damage. During heavy rains the number one water damage source is sump pump failure. Maintaining and having a back up plan is your best outcome to reduce the risk of sump failure. Checking the pump frequently during heave rains will also help you catch the issue should your sump pump fail. If your sump pump should fail and you receive water damage call SERVPRO of Morris/Ottawa right away. A tornado caused significant damage to the roof of the post office. After removing all the mail and closing the Post Office down, our crews were quick at work.removing soaking insulation and flooring. SERVPRO of Morris/Ottawa is available for any job big or small. 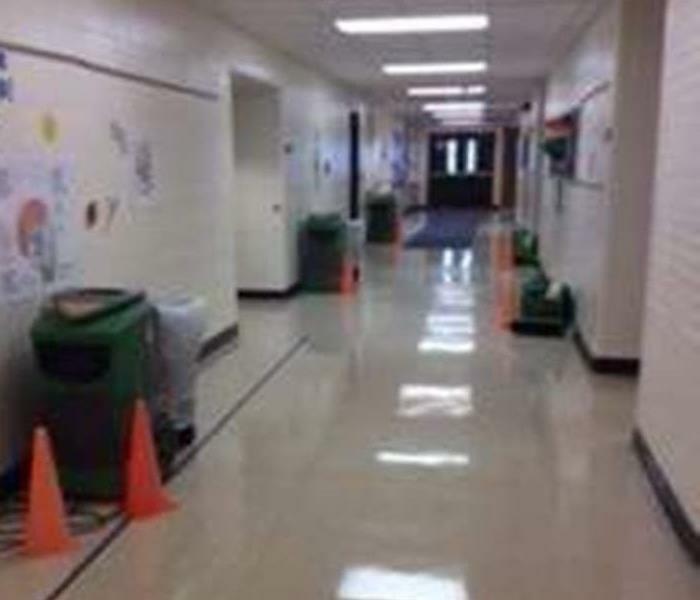 This school was quick to call SERVPRO of Morris/Ottawa to ensure they did not receive damage after they found wet walls due to condensation. During the hot summer months the school's air conditioning unit was working overtime to keep the school cool during 100 degree heats. Upon noticing the walls were wet SERVPRO responded right away. Setting the right equipment was crucial to make sure mold did not start to grow. 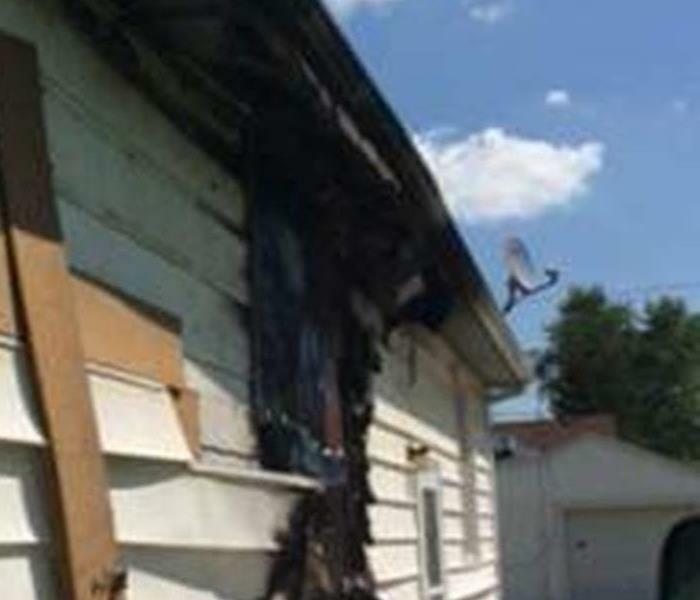 This home suffered a fire after the electrical wiring in their flood lights caused a fire to the outside of this home. Thankfully no one was hurt and the home suffered minimal damage. Our crews were able to get this family help quickly and back to normal within days. This Frankfort home sustained damage from a dryer vent fire. It is very important to have your dryer vents cleaned and inspected often. These types of fires are preventable. Call SERVPRO of Morris/Ottawa at *(815)416-0075 today for your free estimate. 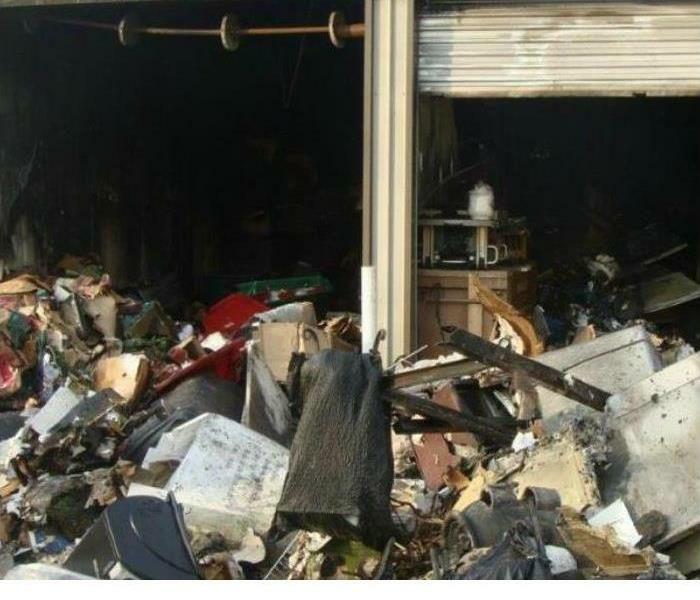 A car fire caused severe fire damage to this multi-unit storage unit. SERVPRO of Morris/Ottawa was able to clean up fast and get business running again for the business's owner. This is what this Manhattan home looked like after clean-up and restoration. The owner couldn't believe how quickly and completely we were able to clean the soot from the ceiling and walls. "Like it never even happened." 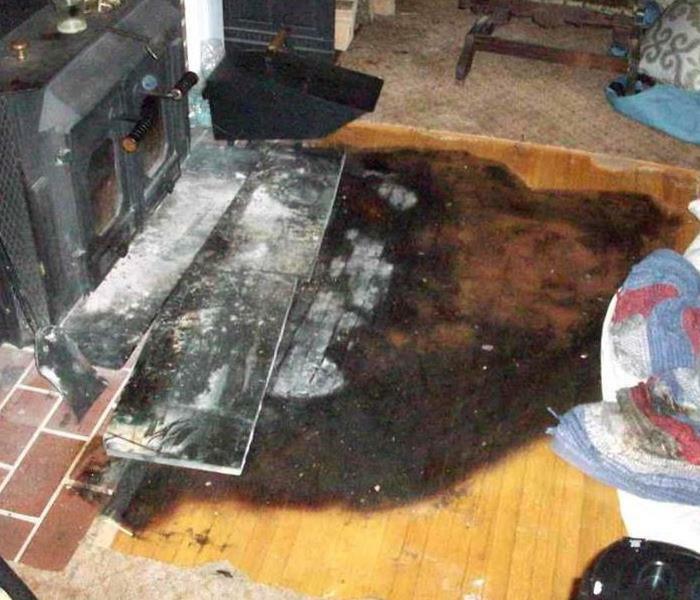 This is the aftermath of a burning log rolling out of the fireplace. It is always important to not leave a fire unattended. Even a few minutes can make a difference. This home had significant smoke damage after the burning log smothered itself out after burning on the floor for over an hour. 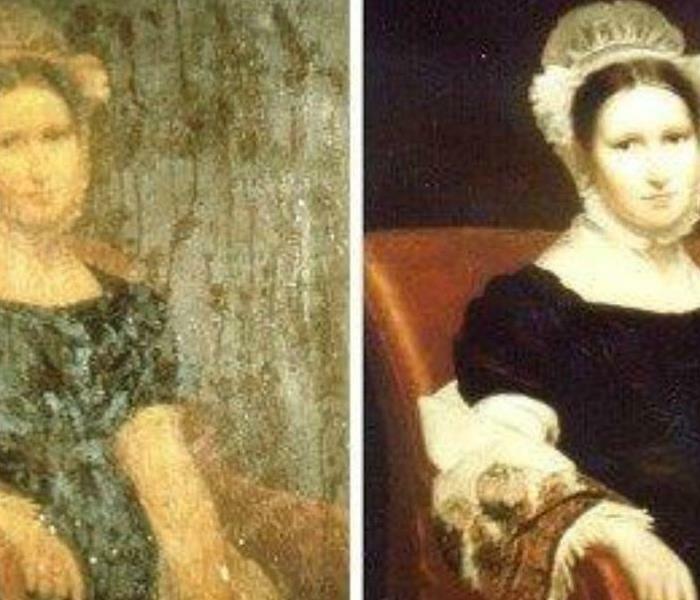 We can restore documents, paintings and prints after water, mold and soot damage. 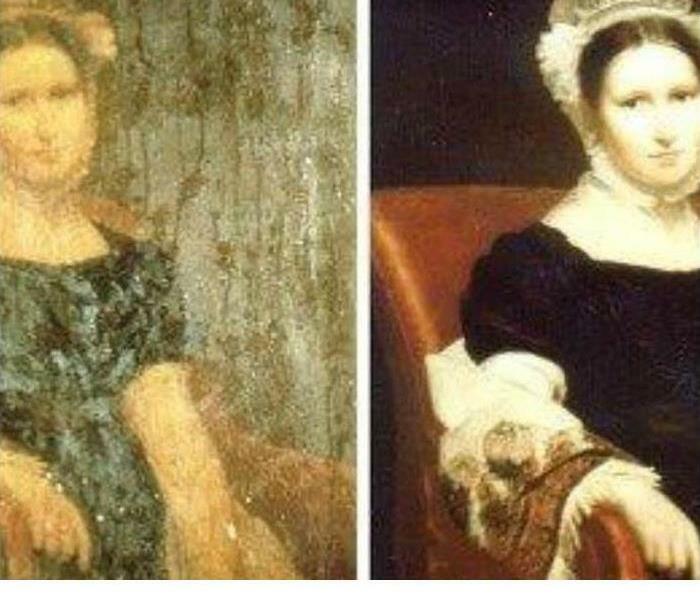 This print was restored after water damage. Flood waters may have high levels of sewage and other hazardous or toxic substances in them. Flood waters can cause heath and safety risks. If you experience flood waters in your home SERVPRO can assist you in keeping your family safe and removing any hazards from your home. 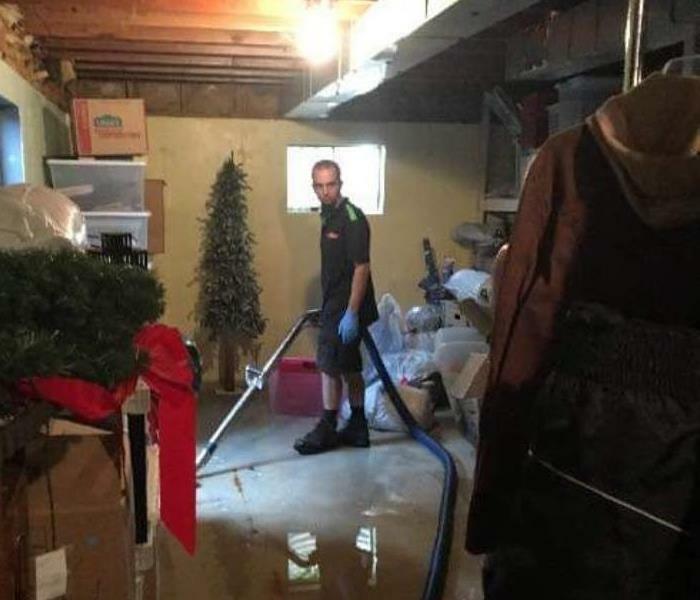 Sump pump failure is the leading cause of basement floods. During strong rains and overuse a sump pump can fail when you need it the most. 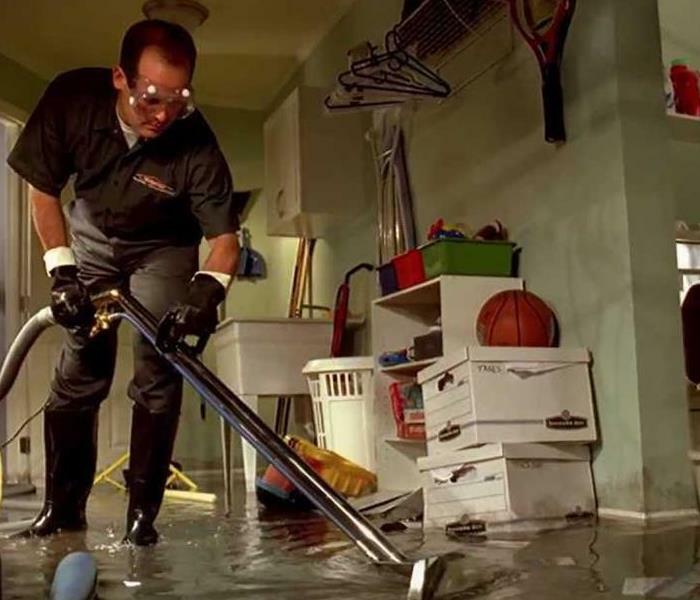 When sump pump failure happens SERVPRO is available 24/7 to assist with any of your needs. This Manhattan, IL home was struck with disaster when the roof was tore off during a storm. 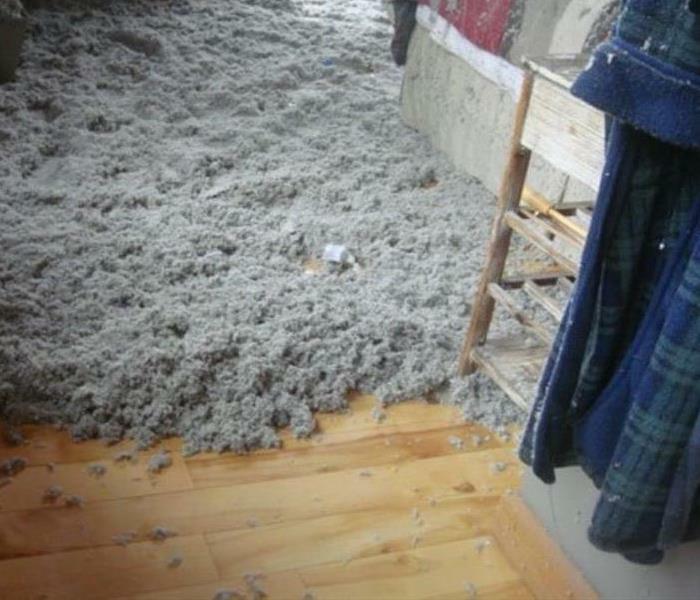 Wet insulation covered the home. With more rain on the way SERVPRO of Morris/Ottawa technicians main priority was getting the roof secured to prevent more damage. 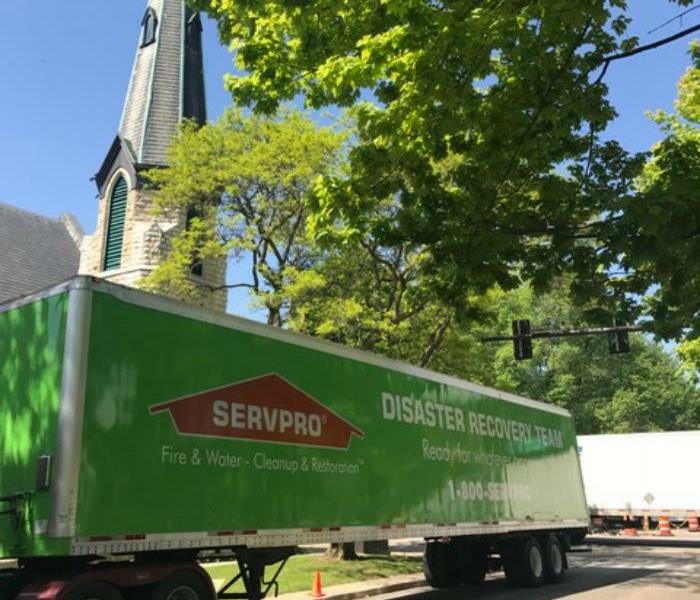 No matter the size of the disaster SERVPRO is always ready to help. 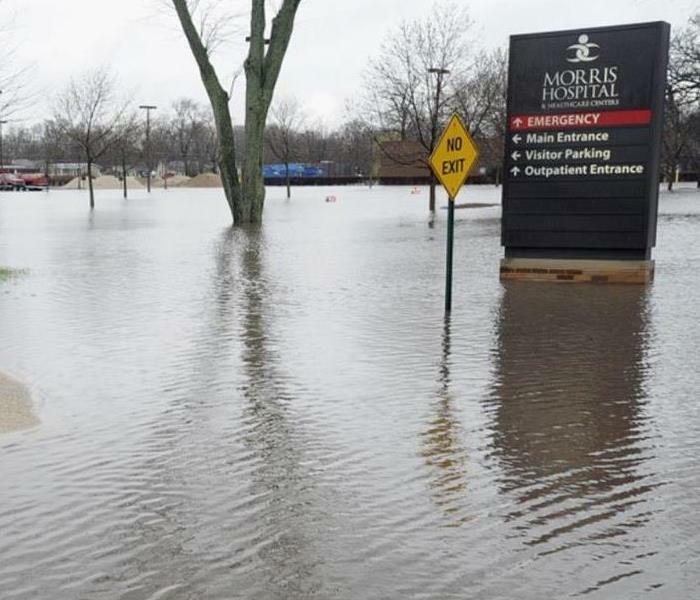 This hospital had flood waters from the nearby creek come into their building. 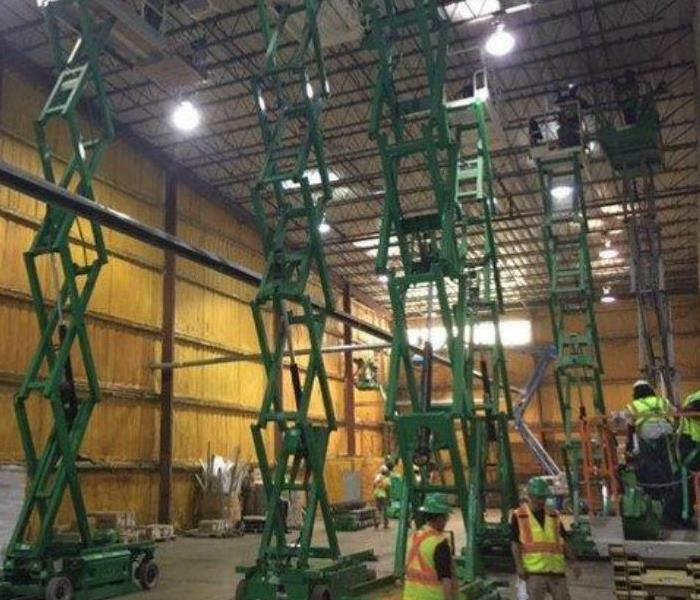 With all hands on deck and commercial grade equipment SERVPRO was able to quickly start the drying process. 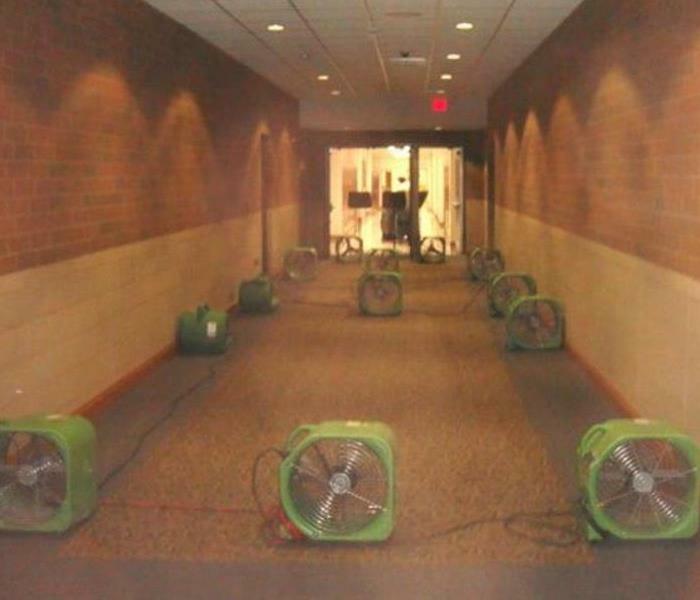 The hospital board was extremely impressed with SERVPRO's sense of urgency in taking care of their emergency. SERVPRO specializes in water and mold damage restoration, the cornerstone of our business. 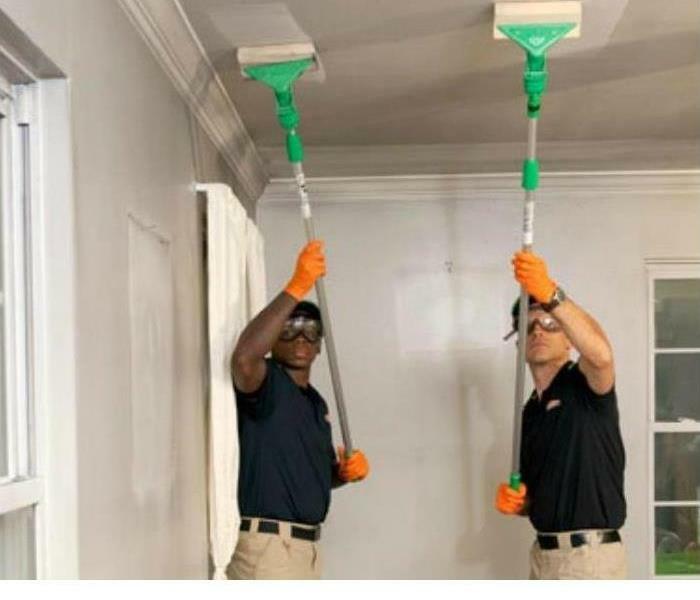 SERVPRO professionals have the training and expertise to safely handle any mold situation. 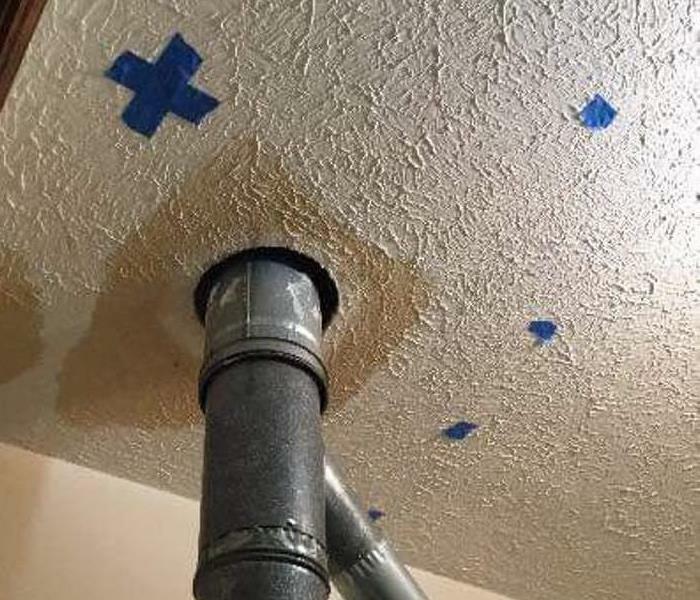 Our trained technicians can even help with tips and identifying the different mold types in your home , giving you the knowledge to give you peace of mind. This Minooka home was affected by water damage from the Fire Department putting out a fire in the home. 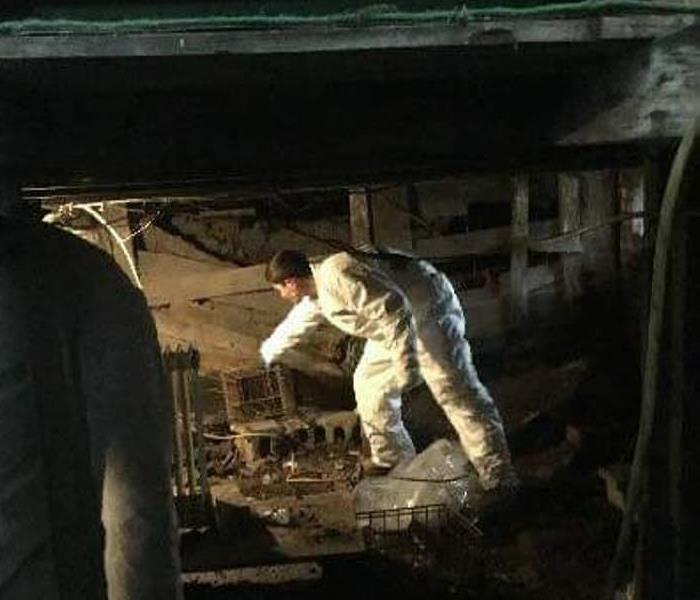 The homeowner was unaware she had a crawlspace until several weeks after the fire. When she started smelling the musky odor she called SERVPRO who was able to inspect and find the mold in her home. When excessive rains fill the sewage systems it can cause an overflow in your home or business. Our crime scene and trauma certified trained technicians can come to your rescue. We can make it "Like it never even happened." 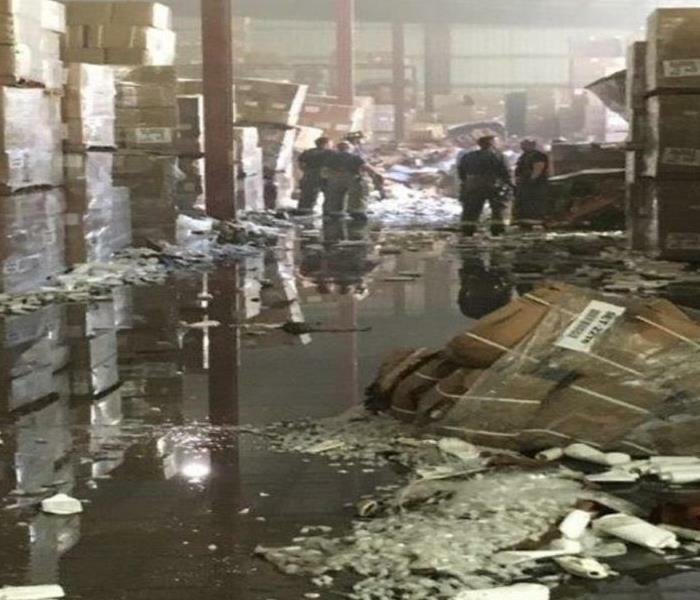 This distribution center faced devastation when a lit cigarette was thrown through an air vent causing a fire. 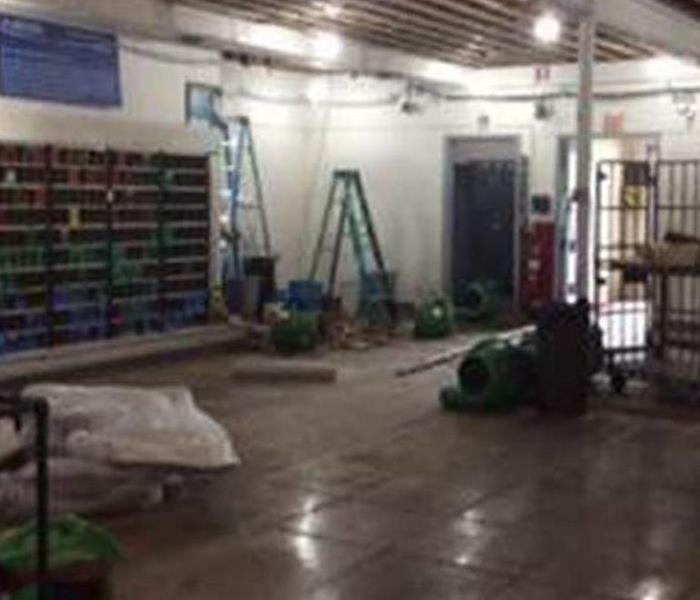 SERVPRO worked day and night 7 days a week until the warehouse was back to normal operations. 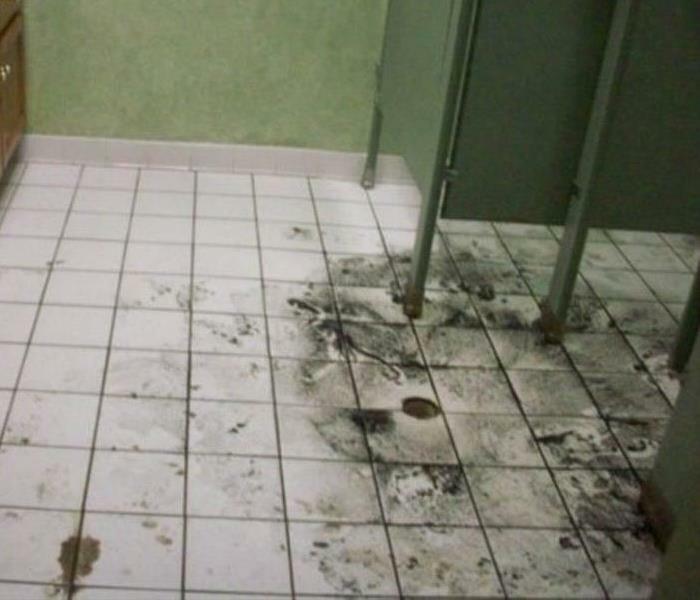 This is the aftermath of a leak in the upstairs bathroom of this office building. 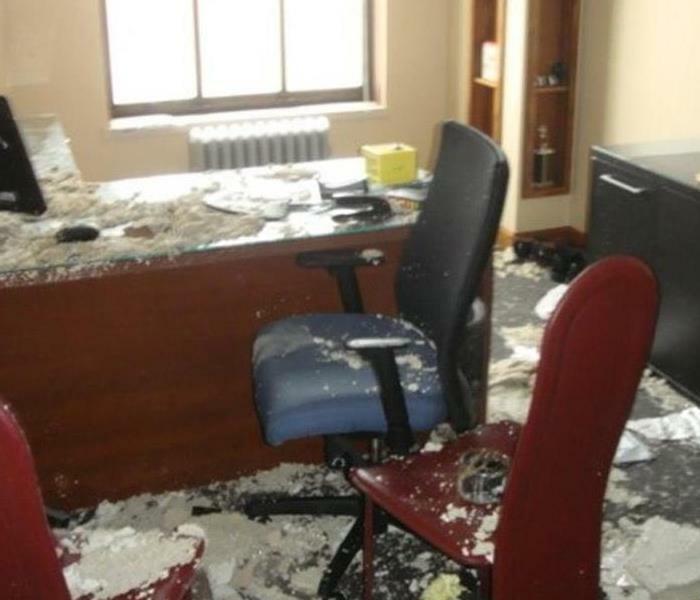 Upon arrival the ceiling had caved in causing the water and insulation to cover everything in this office. We were able to get everything cleaned up and insure there was no damage to this lawyers belongings. Our trained technicians will ask a series of questions when you call in for a loss. This helps us understand what type of situation we are walking into. We can also come prepared to start the job the second we arrive. This is especially important when we are dealing with large commercial buildings. The faster we can start working the faster your business can be up and running. Unfortunately this church was struck by lightning last week which resulted in fire and smoke damage. 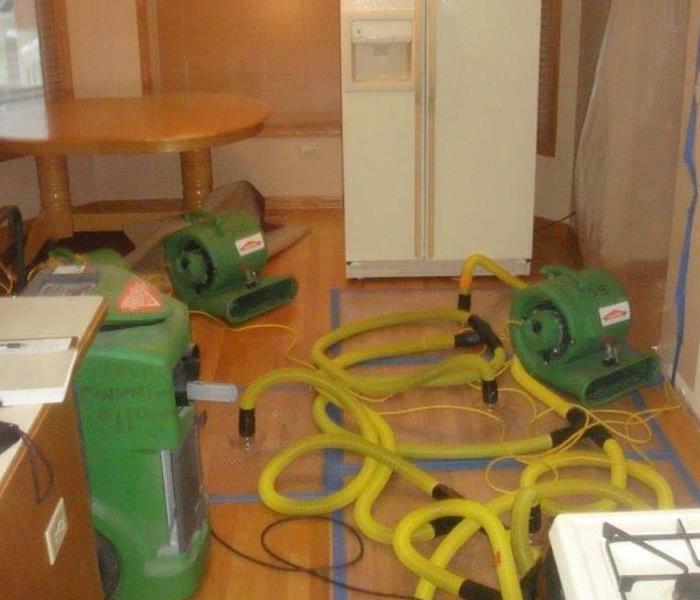 SERVPRO of Morris/Ottawa also handled the excessive water damage as a result of extinguishing the fire. AS you can see we pulled out the "big guns" for this job. We can scale our resources to handle any size storm or disaster. We can access resources from a network of 1,700 Franchises across the country and elite Disaster Recovery Teams strategically located throughout the country. 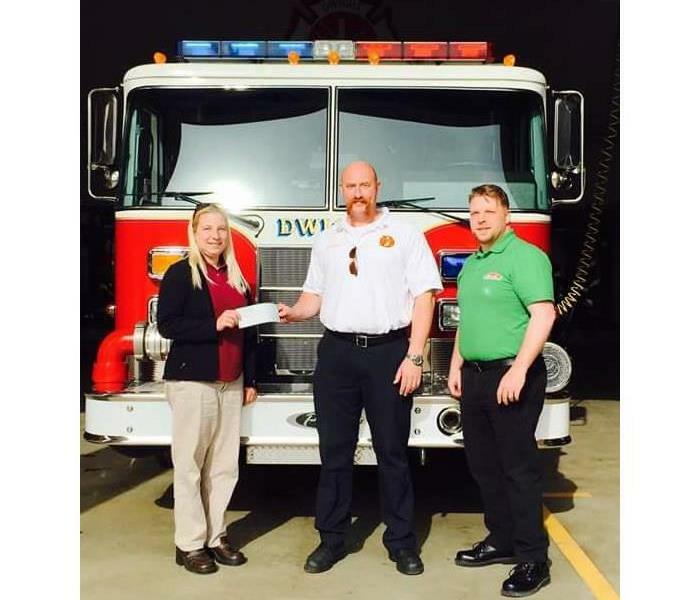 The Dwight, IL fire protection district was presented with a $500 donation from SERVPRO of Morris/Ottawa. The money was used to purchase materials to build training props. The newly constructed training props allow Dwight, IL fire fighters to build and maintain their proficiency in the area of fire ventilation. Ventilation is the practice of releasing toxic smoke and hot gases out of a burning building. This is accomplished by cutting holes in the top of flat and peaked roofs and homes of businesses. SERVPRO of Morris/Ottawa is proud to sponsor the brave men and women of the Dwight fire protection district, who selflessly serve our community, at great personal risk, day in and day out. As a leader in the fire damage restoration industry, we at SERVPRO have a special appreciation of the dedication and hard work these men and women have dedicated themselves to. Every year we deliver flowers to the administrators at our over a hundred and eighty insurance agent offices in the Morris & Ottawa & Frankfort communities to thank them for doing a wonderful job! SERVPRO was able to quickly clean up this difficult to reach soot damage after fire damage in the Streator, IL warehouse. The owner was very pleased that he was able to get his business up and running without delay. SERVPRO can restore your documents, pictures and paintings after water, mold and soot damage. Take for example, this art work SERVPRO restored to just like new. Or, as we at SERVPRO of Morris/Ottawa would say, "Like it never even happened." 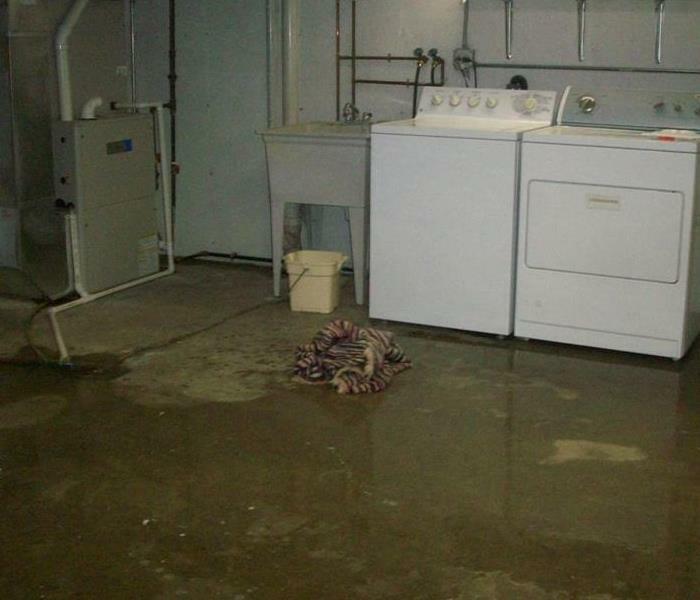 SERVPRO was on the scene in Ottawa right away to dry out this hard wood floor before water damage could destroy it. The home owner was pleasantly surprised that SERVPRO of Morris/Ottawa was able prevent her from having to replace her new floors. SERVPRO of Morris/Ottawa was on the scene right away to this Morris area home. We arrived in time to prevent major water damage. We were able to detect hidden water damage behind the walls and dry it out before any mold damage could take hold.